HockomockSports has published their 2017-2018 boys basketball season preview as well as their 10 players to watch. The Franklin summary is shared here. FHS senior Paul Mahon is listed as one of the 10 to watch. The links for the complete Hockomock preview and listing are provided as well. 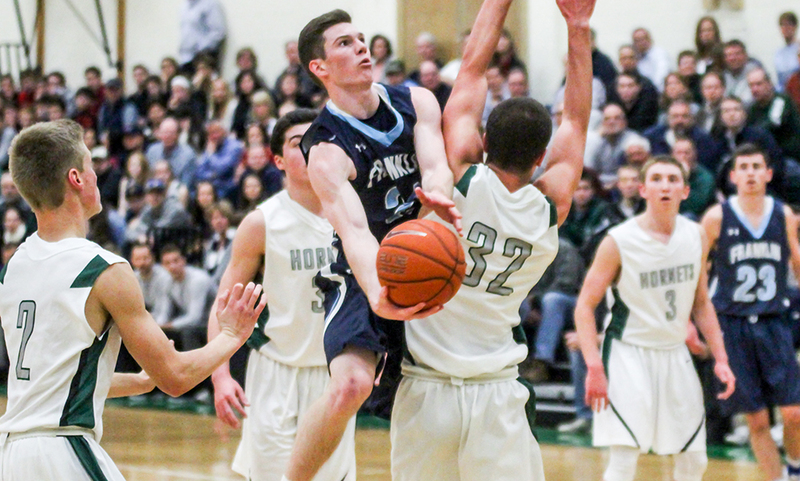 Without a doubt, Franklin senior Paul Mahon is one of the hardest working players in the Hockomock League. The effort that he puts in night in and night out if often unmatched. Whether he’s stepping in to take a charge, or harassing ball handlers as they try to dribble up the court, Mahon is among the best at hustle plays. On top of that, he’s become the heart and soul of a talented team. Not only is he a good defensive player, but he can hurt teams on the offensive end of the court. He was the lone junior named to the HockomockSports.com First Team last season after averaging 11.1 points, 3.5 assists and 2.5 steals a game, and shot 40% from deep. With the emergence of junior Jalen Samuels and sophomore Chris Edgehill, defenses will have a tough time focusing in on just one player.